The book that launched our little-press-that-could is now available in your favorite ebook format. 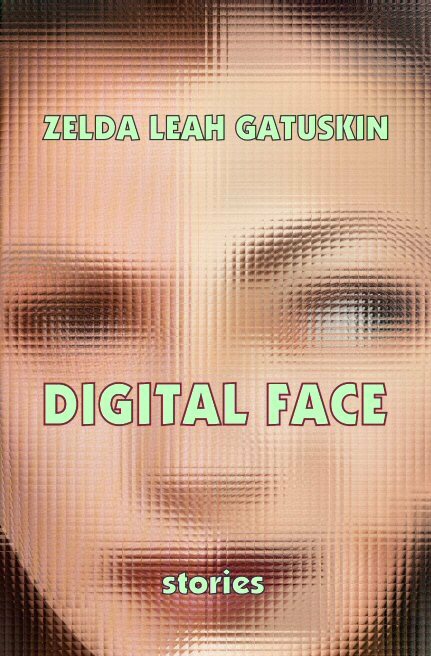 For Kindle, please use the Smashwords link. Our Amador Books Clearance Sale Is Now Ongoing! Treasure House Books & Gifts has graciously provided space for an ongoing Amador book sale display. If you are sightseeing in Albuquerque's delightful Old Town or visiting one of the nearby museums, make sure to drop in. You will not find lower prices on our back-list and mid-list titles, even at this website. Treasure House carries autographed copies of some of our latest titles as well. Plus, they have a free copy of one our gift books to give away with every purchase of $20 or more. The store is located on the south side of the plaza. "This is not a going-out-of-business sale. We are making room (and dough) to grow!" The long-awaited sequel to The Time Dancer is here! 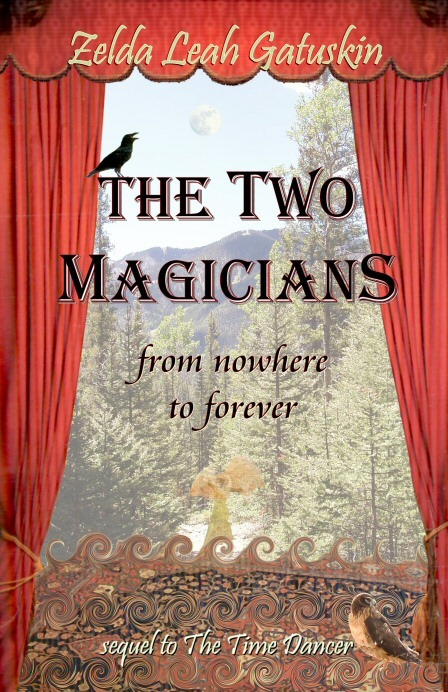 Zelda Gatuskin will appear on behalf of the mysterious author of "The Two Magicians"
2016 marked Amador Publishers' 30th Anniversary. Eva Krutein, acclaimed musician and author, a WWII survivor and tireless champion for international understanding, died on May 6, 2016 at the age of 95. A private memorial was held for family and friends on July 16 in Laguna Woods, California. Smashwords is a user-friendly site for both readers and publishers. They produce e-books in all of the popular formats. For Kindle users, you will have to purchase our e-books at Smashwords and not Amazon; you will find all of the instructions for downloading your Kindle edition here. In 1989 Harry and Adela accepted my first novel for publication (The Time Dancer came out in 1991), and I was effectively apprenticed to them ever after. In 2006 we formed Amador Publishers, LLC and I became a partner and managing editor of the press. I took over the press in 2010 when Harry became very ill; both he and Adela are gone now, but their legacy lives on. Amador Publishers is completely independent; we have never been a subsidiary or imprint of any other press and we plan to keep it that way; our website is ad-free. Your book and ebook purchases keep us going. We also offer a variety of publishing options, editorial and book design services, and manuscript review. Books — Music — Refreshments — Poetry — and You! "THE HOLINESS OF THE REAL"
Michelle Miller Allen died of complications from surgery on April 18, 2014 in Dunipace, Scotland, where she had made her home since 2005. She was 64. While she was known to her friends in New Mexico as a creative artist, author and editor, in Scotland she became an environmental campaigner who helped lead a revival of the River Carron. "She was described as a tireless community champion who loved the footpaths and green spaces in and around Denny and Falkirk, and worked hard to improve them for the benefit of all" (The Falkirk Herald, May 4 2014). Naturally she applied her literary skills to the task, editing the New Leaf News for the Community Green Initiative, the organization she helped to found. Michelle was a self-described "army brat." Born in North Carolina, she traveled extensively in her childhood. She attended school in New Orleans, and eventually settled in New Mexico, where she worked as a paralegal while earning a Masters degree in Theater from UNM. Her poetry, short fiction and articles appeared in various literary and arts magazines in the U.S., Canada, the U.K. and online. Her plays were produced at venues throughout New Mexico, and her book of fiction, Hunger in the First Person Singular (Amador Publishers, 1992), won the New Mexico Press Women's Best Book Zia Award. Miller Allen was the mastermind and lead editor of Amador's anthology, Christmas Blues, Behind the Holiday Mask (1995). Her novel Journey from the Keep of Bones, was awarded First Runner Up for Best Visionary Fiction, 2003 by the National Coalition of Visionary Resources. In 2007, she published the posthumous memoir of Elizabeth McBride, Last of the Nice Girls. She was in the process of completing two mystery novels. Michelle had made her home in Jemez Springs for a number of years. She moved to Scotland following the death of her husband, Rick Allen, but continued to operate her production company, Green Phoenix Productions, an effort dedicated to "encourag[ing] creative people to keep creating in order to counteract the destructive forces on the planet." Wherever Michelle landed, she brought people together, energized and inspired. She has left her mark on the hearts on many on both sides of the Atlantic. At the Amador Book Bash on October 19, 2014, Zelda Leah Gatuskin, now editor in chief of Amador Publishers, will offer a tribute to her friend and "literary big sister," who helped to establish a national and international reputation for our homegrown press. TWO AMADOR TITLES ARE FINALISTS WINNERS! We are pleased to be able to assist the authors and publishers in distributing these titles. Don Gutierrez discusses his book. 1701 Fourth Street SW, Albuquerque. We are proud to reprint here Gene H. Bell-Villada's essay, Who Was Ayn Rand? (originally published in SALMAGUNDI, Winter 2003-2004). Hear author-artist Zelda Leah Gatuskin discuss and read from the book on Write On Four Corners with Connie Gotch. Click here to listen now, or go to KSJE-FM Write On Four Corners Archive. ObituaryHarry Willson, 77, a resident of New Mexico since 1958, passed away March 9, 2010. He is survived by his beloved wife of 40 years, Adela Amador; a daughter, Mary Osgood and her husband, Bob; son, Andy and son, Mark and his wife, Margot Richardson; step-son, Orlando and step-son, Armando and his partner, Cammy Kinstedt; two sisters, Ann Willson Amidon and Susan Willson Harr and their families; seven grandchildren; six great-grandchildren; and many dear, dear friends. The family would like to extend their thanks to the loving staff members at Lovelace Rehabilitation Hospital, Canyon Transitional Rehabilitation Center and Hospice of the Sandias for all your efforts to make Harry's last days as joy-filled and comfortable as possible. An Open House celebrating Harry's life was held at La Fonda del Bosque Restaurant at the National Hispanic Cultural Center on Sunday, March 21st. The family asks that all tributes be in the form of donations to the Humanist Society of New Mexico. Website design and content copyright © 2013-2017 Amador Publishers, LLC.